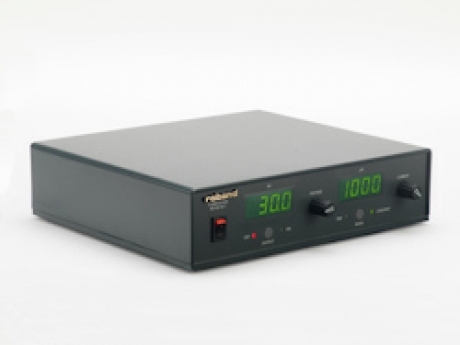 The RO-HV 30-1 is a high voltage 30kVDC output bench power supply for test or scientific use. It features digital meters for output voltage & current, both of which can be varied. The output voltage can be varied from zero to 30kV, the output current can be varied from zero to 1mA, both via ten turn controls. It features digital meters for output voltage & current which can be set before enabling the output (as well as adjusted in use). Current limit is selectable as constant or trip. Designed for high voltage bench testing, or scientific applications, the RO-HV 30-1 provides an adjustable 0-30kV output.